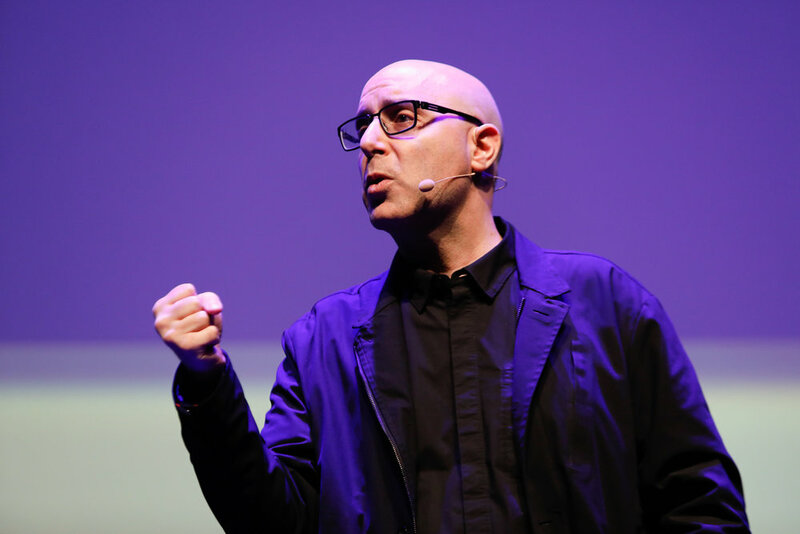 When brands like Google, Starbucks, Shopify and GE want to know what’s next for them (and their customers), they call Mitch Joel. Is your business trying to figure out how to better connect with consumers by leveraging technology to make more human and substantive connections? Are you struggling to be a leader in this digital evolution? Mitch Joel has been called “one of North America’s leading visionaries” and the “Rock Star of Digital Marketing” by Strategy Magazine, he has been named one of the top 100 online marketers in the world, and was awarded the highly prestigious Top 40 Under 40… but he is much more than that. Mitch speaks frequently to diverse groups like Wal-Mart, Starbucks, Microsoft, Procter and Gamble, Twitter, Unilever and every organization and association in between. Since 2005 he has given anywhere between 40-60 keynote presentations a year to small, medium and large organizations in both the B2B and B2C space all over the world. As a professional speaker who can customize every presentation for impact, Mitch is represented by Leading Authorities in the U.S. and by Speaker's Spotlight in Canada. His style is big, engaging, entertaining, educating, customized and eyebrow raising. Your audience will leave informed and ready to tackle the future... today. Mitch is also a bestselling business book author. His first book, Six Pixels of Separation (Grand Central Publishing - Hachette Book Group in 2009), named after his successful blog and podcast is a business and marketing bestseller. His second book, CTRL ALT Delete (Grand Central Publishing - Hachette Book Group in 2013) was named one of the best business books of 2013 by Amazon. Mitch Joel is Founder of Six Pixels Group - an advisory, investing and content producing company that is focused on commerce and innovation (although he prefers the title, "Brand Hacker"). Prior to Six Pixels Group, Mitch spent close to two decades building, running and (eventually) selling his business. He was President of Mirum – a global digital marketing agency operating in 25 countries with close to 3000 employees. Mirum is owned by WPP. How technology connects consumers to brands like never before. First ads, now content. What does your business need to know? Most brands and individuals fail at content marketing to build their thought leadership and direct response strategies, because they are chasing content formats that don't fit their brand experience... or they don't know know where to start. 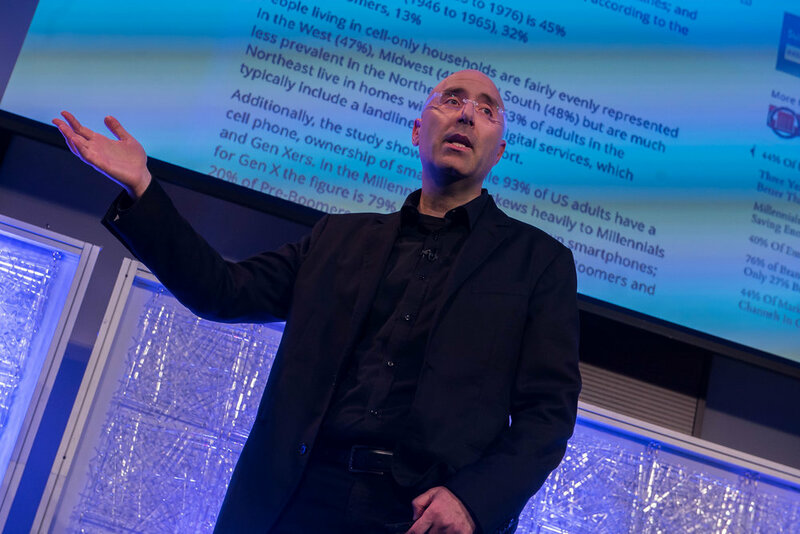 Mitch Joel has created a simple and practical strategy to help your business define its true Content Centre of Excellence. Come and learn this simple and fast process, so that your business can figure out what your true center of excellence is for content. Why do this? Focus, growth, sales, customer loyalty, better consumer experiences and really getting your ideas to spread. Your brand must ensure that whatever messaging that is produced, published and promoted ties back (as closely as possible) to your content center of excellence. reboot your business. Your future depends on it. There are five movements that have changed business forever and yet, the vast majority of brands are doing little to anything about it. The next five years of business will be about the convergence of these five major movements, which will require companies to adapt like never before. Transform or die? Some will struggle with this shift while others will simply roll along as the adoption incurs. The trick is in capitalizing on this moment in time, understanding these movements and being ready for your future (a future that will move at a much quicker and real-time pace).What you do with this moment will be telling. It will also set the pace for everything that flows out of your brand for the next decade. Are you ready for a reboot? Full speaking reel available by request.